Dan has made out like a proverbial bandit this month in terms of socks. He's gotten two pair! I started to knit up a pair of socks not intended for him, but the colors were just so Dan-appropriate, I decided he would get them. They photograph a little more red than they actually are - there's a very fall feeling about the color of these socks. Lots of pumpkin orange and muted fall foliage colors. 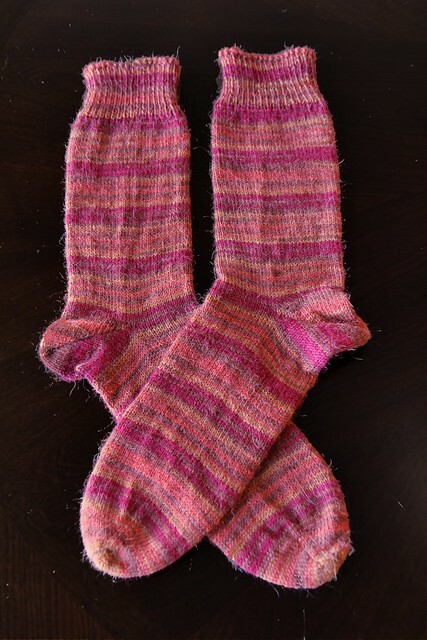 Of course, with these socks going to Dan, plus a some slippers (more on that later), the last three projects I've done have been for someone else. Can't have that! So yeah, I've cast on for some socks for me. 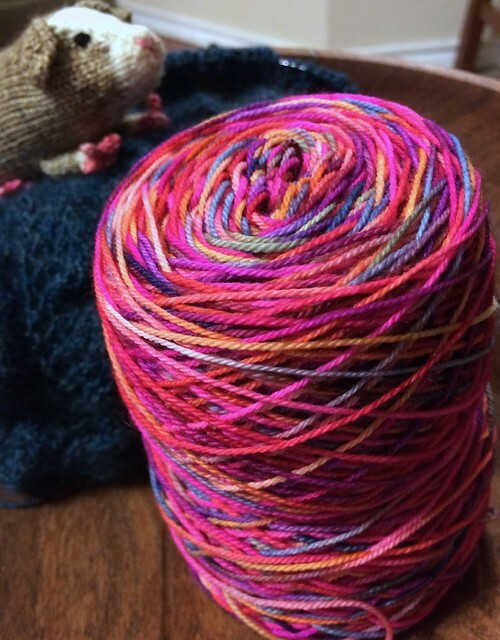 The yarn I'm using makes me think that a pink confetti cake has exploded. Isn't it delightful? I just have one toe worked up and it's knitting up obnoxiously colorful, all on a base of pink. No way are these going to Dan! Anyway, this second pair of Dan-socks makes 19 feet-things for the year (17 specifically sock). Go me! Gonna be gorgeous! So you! Thanks! I'm really enjoying their pink, colorful obnoxiousness!